UPDATE: The dinner tickets are currently sold out! If you want to be put on a waiting list, please send us an e-mail to contact@finnsconnect.com. 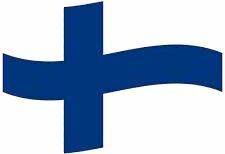 FinnsConnect SouthFlorida invites you to attend Finland 100 Independence Day Dinner to be held at 15th Street Fisheries (1900 SE 15th Street, 33316) in Fort Lauderdale, December 2nd, at 5 pm – 11 pm. We will start the celebration at the waterfront patio with a cocktail hour from 5 – 6 pm, with complimentary beer and wine. At 6 pm we will move to the private dining room upstairs to enjoy a three-course dinner. In the dining room, there will be a cash bar with beer, wine, liquors and mixed drinks available for purchase. The dinner tickets are $ 70 for FinnsConnect members and $ 75 for non-members per guest. The number of tickets is limited. The event is for ages 18 and up only. Complimentary valet parking on the site. The restaurant has an elevator and an accessible restroom. You may view the Dinner menu here and let us know about allergies or a special diet upon registration. However, we won’t be able to guarantee the availability of the special menus, since they are provided by a third party. Please be aware of the possible traffic at the location and US-1, as there are several other events nearby at the same time. Be prepared to arrive early to enjoy the event from the start at 5 pm. We won’t be able to do any refunds in case of absence or late arrivals, neither we guarantee you will be served dinner if being late for the service at 6 pm.